There used to be a time when you could enjoy your coffee guilt-free. Breathe in the heady aromas, savor that first (hopefully not-too-hot) sip, and prepare yourself for the day ahead. That shot of caffeine goodness was a daily ritual that switched you from a creature of the night to a high-flying sunshine sensation. But then nutritionists, doctors and health advocates started to say otherwise. That morning cup of Joe is doing you damage, they’d have you believe, and anyone who values their health would do well to ditch the stuff altogether. Either you heeded their warnings and swore off your morning cup of coffee, or you stubbornly continued to knock it back in the face of popular opinion. Both scenarios essentially had your morning in ruins, with the first ensuring you stumbled through your day in a zombie-like fashion, and the second souring the taste of that heady brew with a strong dose of guilt. But two mammoth studies conducted in the United States and Europe may bring the coffee Dark Age to an end. The combined studies, which tracked close to three-quarters of a million participants over the average course of 16 years, may just have coffee’s doomsayers quaking in their boots. This just in: coffee is good for you! Two studies have found that coffee may help you live longer. Simultaneously published on August 15 of this year, the studies show that it’s high time we rethink the negative way in which we view coffee. Here’s a brief look at the findings from each. Funded by the European Commission Directorate-General for Health and Consumers and the International Agency for Research on Cancer, this study encompassed 521,330 participants across 10 European countries. Over the course of close to 16 years, scientists tracked the coffee drinking habits of the participants and compared them to common health markers. The results were significant. According to the study, “participants in the highest quartile of coffee consumption had statistically significantly lower all-cause mortality” than those people who didn’t drink coffee at all. 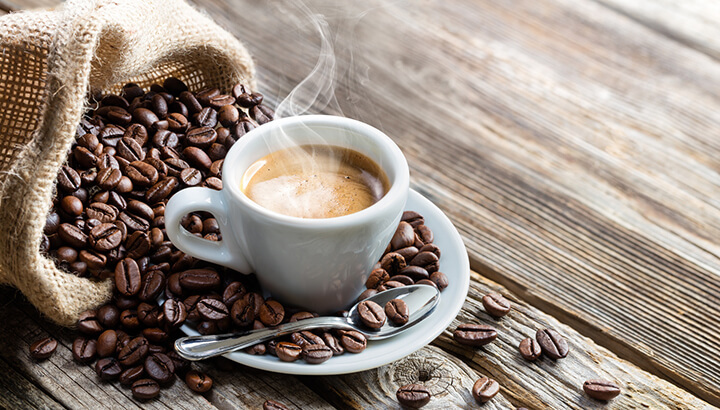 The findings also showed that both men and women who drank coffee were at a lower risk of digestive disease, while female coffee drinkers also had a lower risk of both circulatory disease and cerebrovascular disease. Across all the ethnic groups, coffee drinkers had a lower risk of heart disease, cancer, respiratory disease, stroke, diabetes and kidney disease. Interestingly, this coffee equals health correlation seems to apply even with four or more cups of coffee consumed per day, regardless of whether the coffee is caffeinated or decaf. Coffee makes you live longer! Well, it decreases your risk of dying earlier, which is essentially the same thing. Bottoms up, folks! The higher quality of coffee, the more impressive the health benefits. The beauty of these two studies is the sheer number of people that participated, minimizing statistical error and proving beyond a shadow of a doubt that coffee is definitely a good thing. What’s more, they were funded by impartial organizations that presumably don’t have a vested interest in coffee consumption, thereby ensuring the results haven’t been tampered with in any way. Nonetheless, it’s important to remember that not all coffee is created equal. In fact, I’m convinced that if the study proponents had somehow been able to differentiate further between “high quality” coffee and “low quality” coffee, the results would have been even more significant. Because an organically grown, minimally processed, expertly brewed cup of coffee can be so much more than a cup of instant coffee. And it’s fair to say that the higher the quality of coffee, the more impressive these health benefits will be. To get the most from my organic coffee, I buy unground coffee beans and grind them myself on the day, then either drink it with a healthy dose or grass-fed full-fat milk or a healthy dollop of butter… the fat ensures your body can absorb all those fat-soluble vitamins in the coffee! And instead of sugar or sweetener, I’ll add in half a teaspoon or so of organic cinnamon, which creates the impression of sweetness but without the blood sugar spikes. Delish! 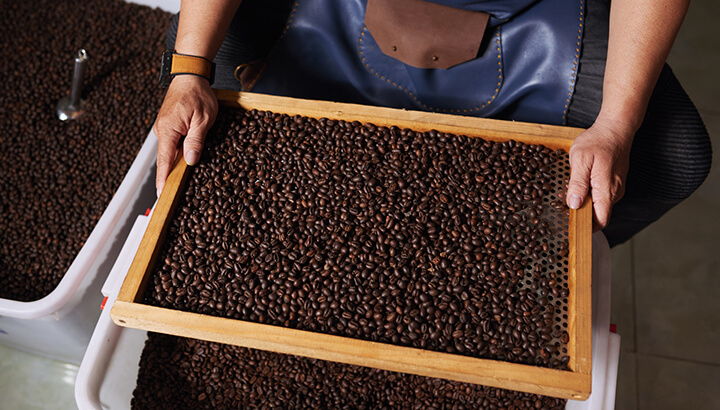 For more tips on how to get the most from your coffee, check out this post! Hey Buddy!, I found this information for you: "Can Coffee Really Help You Live Longer? New Studies Say THIS". Here is the website link: https://www.thealternativedaily.com/can-coffee-really-help-live-longer-new-studies-say/. Thank you.